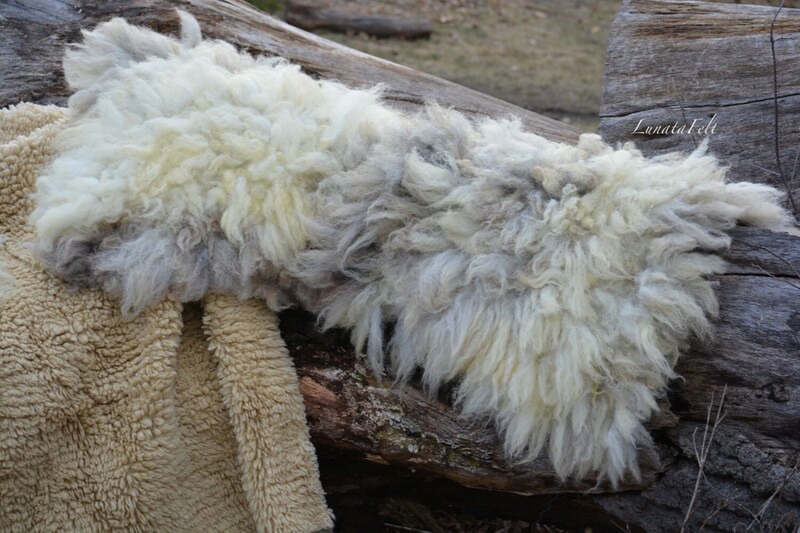 OOAK handmade small wool felt fur mat from organic sheep wool looks like a natural pelt, pet and eco-friendly - 50x50cm - to order! 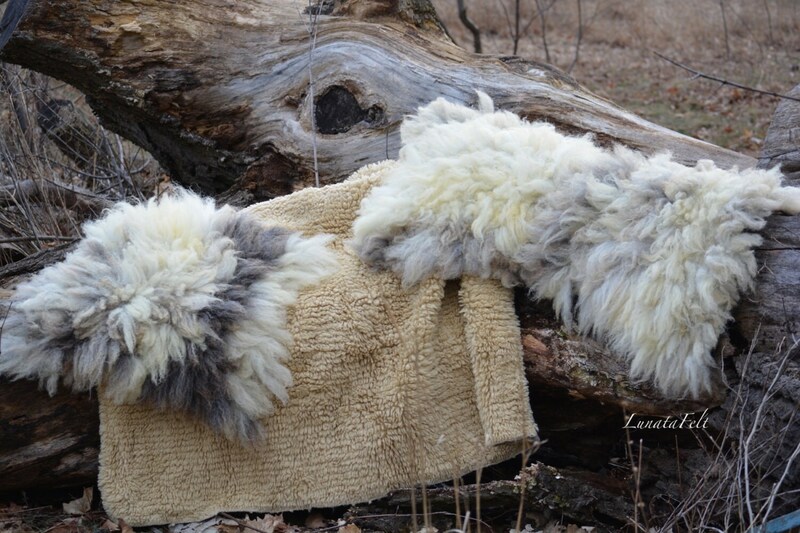 Beautiful one-of-a-kind handcrafted wool felted fur mat. 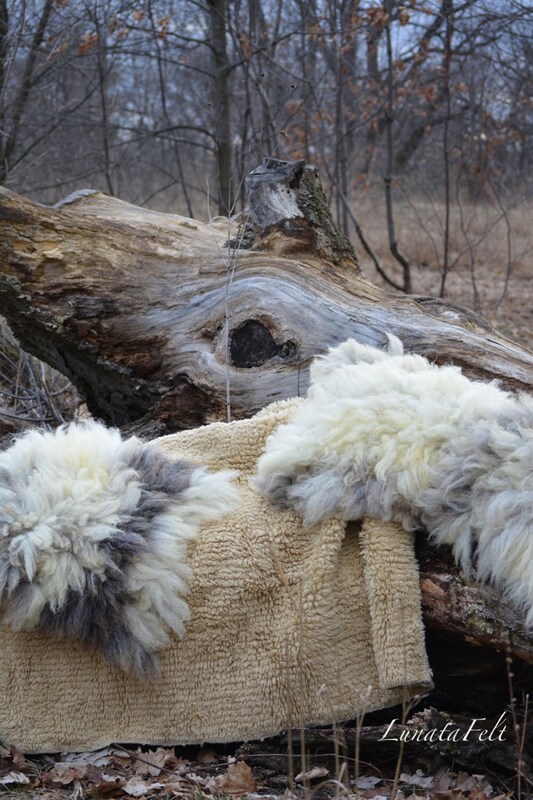 Warm and super comfy, with tons of character and curls. 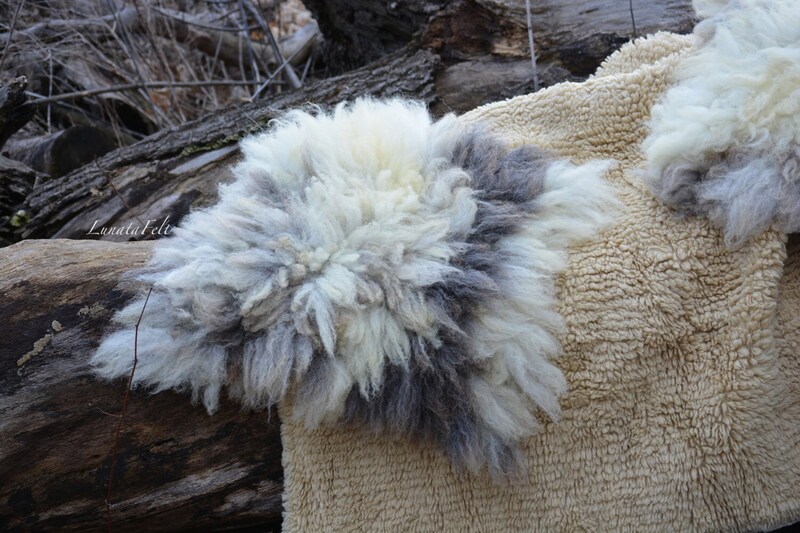 Wet felted by hand from warmest organic sheep wool. 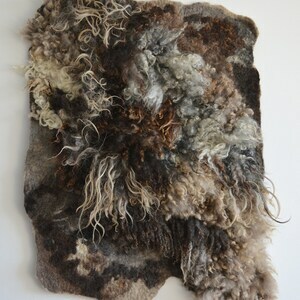 Felted rug looks like a natural pelt, pet and eco-friendly. 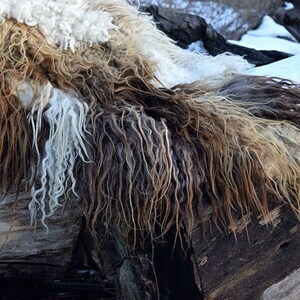 - Machine-washable with mild detergent in cold water for delicates. 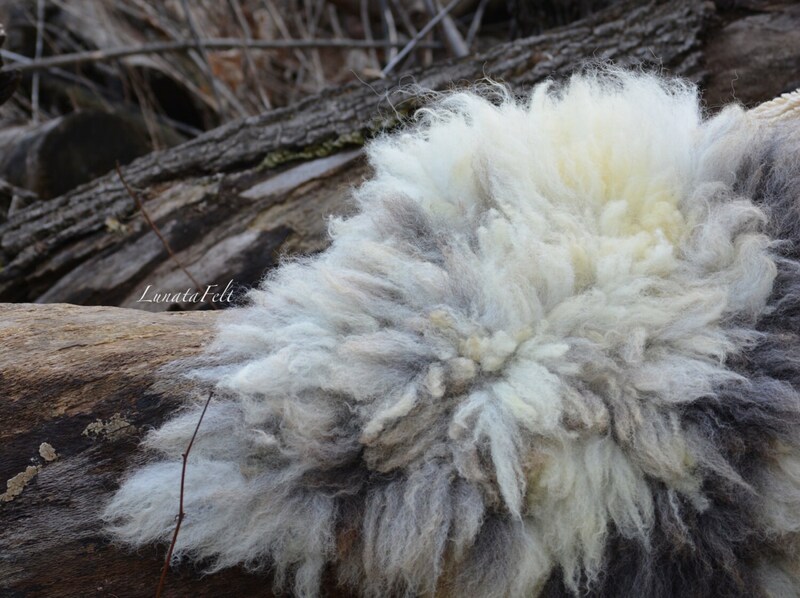 - It can be air-dried or dried in the dryer – using light and delicate mode. 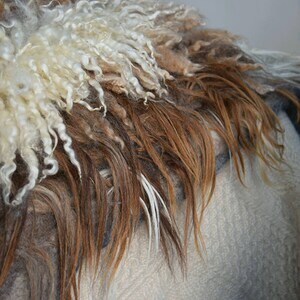 - You can also brush your rug using a pet brush. 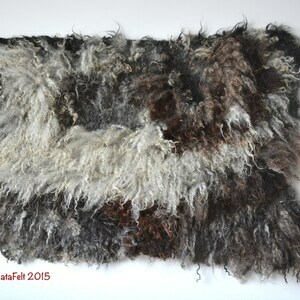 OOAK handmade small wool felt fur mat from organic sheep wool looks like a natural pelt, pet and eco-friendly - 60x60cm - to order!